With cold semi-slicks and Launch Control. With hot tyres the grip holds back the useful wheelspin. 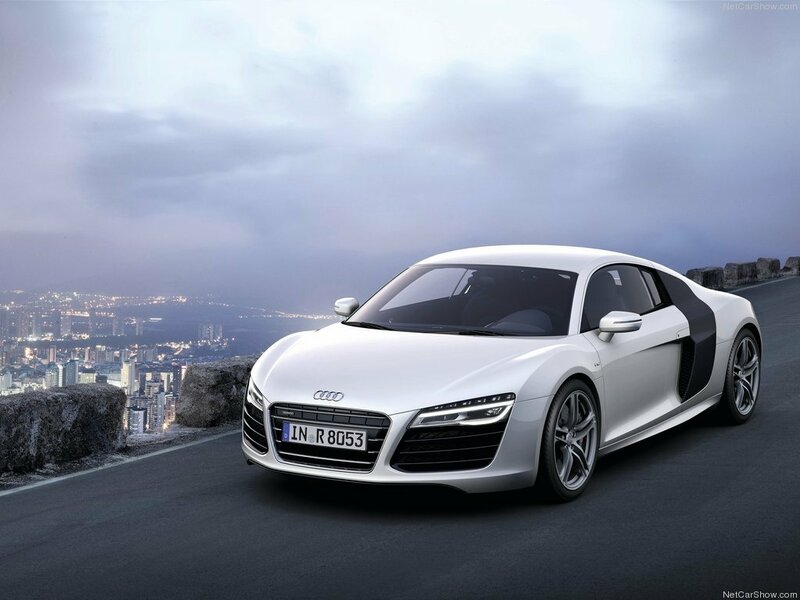 Source: AutoBild Sportscars via Audi's claim. Also, please fix the drive to AWD. 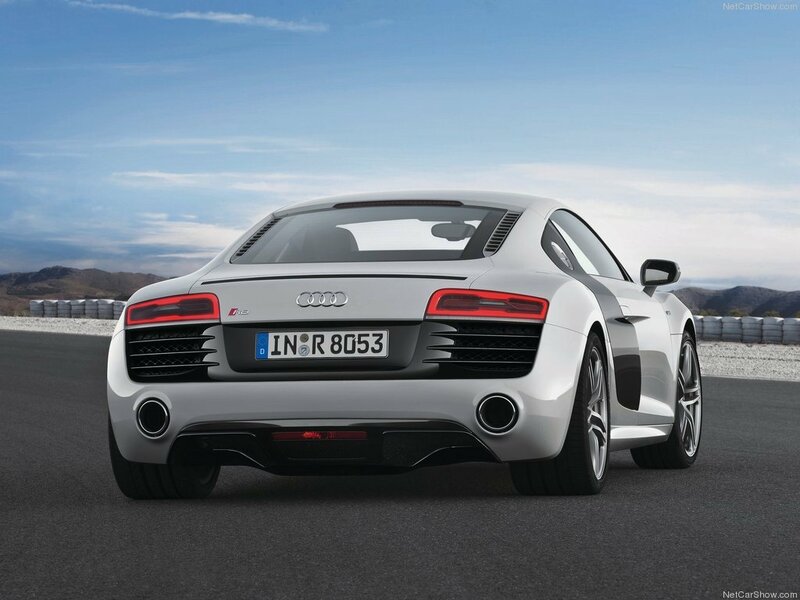 @BR2, R8 have only naturally aspirated engine and are more RWD than AWD. 0-200 kmh is as it should. @Muse, I never said Audi couldnt be faster then the claimed times, notice the "Conservative" Part in my post? @Mental, like u said, if a 4200lbs 420Hp S6 can do 3.7s to 60mph and the 3200lbs 335hp TT-RS can do 3.6s to 60mph, why wouldnt the more agressive New R8 which is 600lbs lighter, and/or 100bhp more not do 3.5s to 60mph or faster or slower then the S/RS? Given the Older R8 with 420hp did 0-60mph in 3.9s, And given that this new R8 has the same type of launch control these new Audis are getting. Ever since the arrival of the Corvette C6 and GT-R, im not gonna say nothing is impossible in the motoring world. Damn, I can't actually believe that the sedan, which has only 420 PS and weights like a huge Brabus 800, reaches 60 in 3.7, like Zonda :O. The same with R8 V8. Maybe 4 s, maybe even a bit below 4, but 3.5! Oh man, I love R8, but it's just physically impossible, I think. @BR2, what you talking about?! Pre face lift V10 Audi reported 3.9s to 100 km/h, in test was 3.7s... With that (s-tronic)will be only get better. Ty, But thats also a Typical Audi Conservtive time, id really wish Companys would stop doing that, very few performance cars dont go as fast as they say, and Audi is definetly one of them. 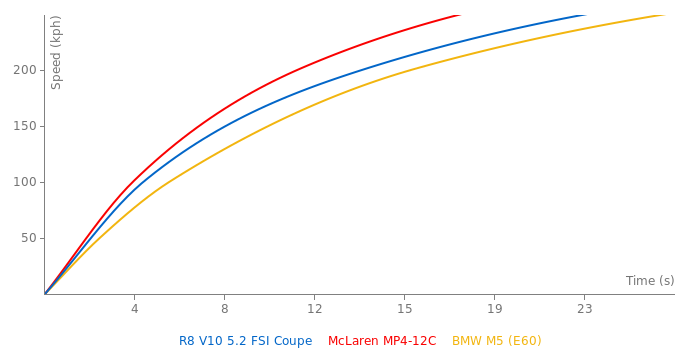 If anything, the R8 V8 will get to 60mph faster then the S6, which does in in 3.7s, I think, the only company that did a "Real" performance figure was Pontiac. I dont know too many ppl, or rather any that would get upset if there New R8 V8 didnt get to th performance numbers as fast as claimed Insurance or not. V8: manual transmission: top speed - 302 kph, 0-100 - 4.6 s; S-Tronic: 300 kph, 4.3 s.
V10: MT: 316 kph, 3.9 s; S-Tronic: 314 kph, 3.6 s.
V10 plus: MT: 319 kph, 3.8 s; S-Tronic: 317 kph, 3.5 s.
Not much difference..But, considering how fast these new Audis(S4/S6/RS/RS30 are, these ones should be even faster, If they have the similiar launching capacities, maybe 3.5s and 8.7s 0-60-100 for the R8 V8?.. 7 ps more than the old r8? i love this car, but 7 ps? Major changes to make when the antecedent is weak, apparently R8 was not weak as much. But why facelifted models can't differ from previous? It would be greater having more new big details. Remember Lambo Murcielago. 2001 model wasn't very good in handling and, as for me, wasn't much beautiful. But in 2006 Lambo had facelifted Murcielago and the result was awesome. The handling has become better, increasing power in 50 PS, the acceleration and the top speed have become better, also it's exterior has become just brilliant. The same could make Audi with R8 (and exactly with Audi's help Lambo facelifted Murcielago). Audi could increase the power: 450 PS for V8 and 550 PS for V10. Of course you can say that V10 plus has already 550 PS, but why don't make it as a basic V10 model? But then I suggest to create R8 with next-generation Gallardo V10 engine (I guess that it would be 600 PS) and then present it in 2013 as R8 V10 plus. @Mental This is the Face lift not a new generation and not only such changes have occurred. There are hundreds of smaller changes which Audi does not inform. This is the face lift. This was to be 525 ps not bhp.. my bad. It is 525ps version. 525 ps not bhp, my bad.